On July 30,2018, Greeneville Middle School of Greeneville City Schools district was welcomed into an exclusive U.S. community as a US Microsoft Showcase School. Only a select 40 schools across the U.S. will join hundreds of other Microsoft Showcase Schools across the globe. The Microsoft Showcase Schools program recognizes innovative leaders in schools around the world. 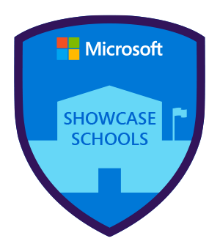 As a Microsoft Showcase School, GMS leadership teams are part of a professional community that thoughtfully leverage technology to drive digital transformation and efficiencies in schools.